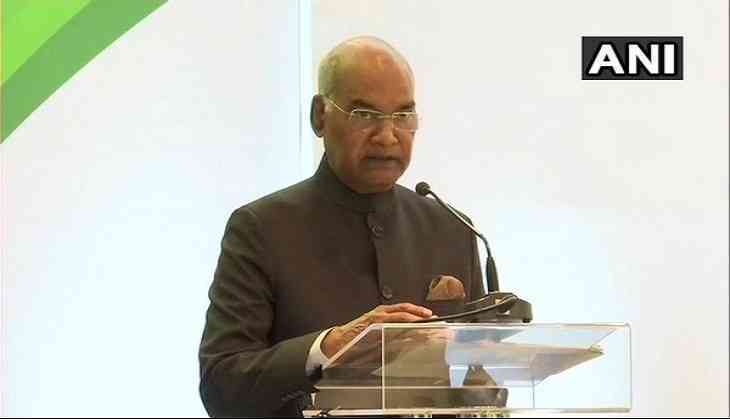 Addressing an Indian business delegation in the capital city of Prague, Kovind said, "We are keen to strengthen and diversify our relations with the Czech Republic. Tomorrow, I will have discussions with President (Milos) Zeman on taking forward our bilateral relations, particularly, our economic ties." The President underlined trade, technology and investment as a few of the numerous opportunities for businesses in the two countries to grow. He also expressed his delight over the Indian community's contributions to the Czech society, saying, "I am pleased to learn that the Indian Community in the Czech Republic, though small in number, is making a significant contribution to the progress of this country. As professionals, scientists, entrepreneurs and students, you also serve as a living bridge between the two countries." While saying that the two countries have been engaged in trade for thousands of years, Kovind hailed the Czech Republic for bolstering the cultural connection with India by honouring Indian writer and poet Rabindranath Tagore. "Eminent Czech scholars brought the works of Rabindranath Tagore to the Czech people and helped foster a deep cultural connect with India. The installation of the bust of Rabindranath Tagore, in Prague and naming a tram station after him, is homage to Gurudev and to his poetic genius," Kovind said during his address. He also stated that the founding of the Indo-Czech Association by Netaji Subhash Chandra Bose">Netaji Subhash Chandra Bose in Prague in 1934, and the popularity of the shoe-manufacturer Bata; that was started by a Czech Thomas Bata; in India as factors that have strengthened ties between the two countries. Later, the India-Czech Sinfonietta Orchestra performed a rendition of several Hindi songs at the Indian community reception in Prague for President Kovind. In the final leg of his visit to three European countries-Cyprus, Bulgaria and the Czech Republic, three-President Kovind will hold bilateral meetings with his Czech counterpart Milos Zeman, Prime Minister Andrej Babis and several other political leaders over the course of the next two days.